Resting amongst the lush greenery of an exotic garden, Le Palmiste Resort and Spa is just moments from one of the best beaches in Mauritius. The idyllic palm tree-lined white sands, and crystal clear waters of Trou aux Biches are what dream holidays are made of. Whether you’re looking for a romantic getaway or an unforgettable family experience, this friendly hotel offers amazing value for money. 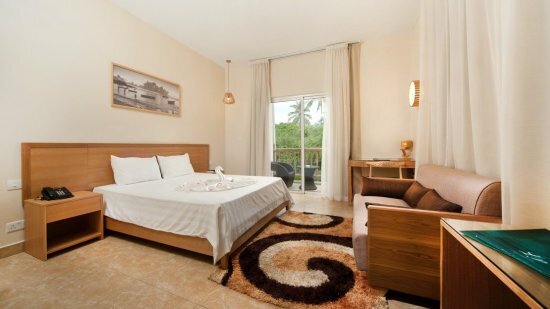 The bright and spacious accommodation features modern comforts, and a homely ambience to settle in to. Make the most of this tranquil atmosphere, with a tasty homemade rum cocktail from the poolside bar. You won’t have to go far for a perfect pampering experience, as the hotel spa offers sensational treatments using authentic natural products. If you fancy getting more active, there’s sports facilities at the hotel, and a diving centre nearby. Breakfast, lunch and dinner can be enjoyed in the buffet restaurant, and each week the live shows offer a cultural treat. 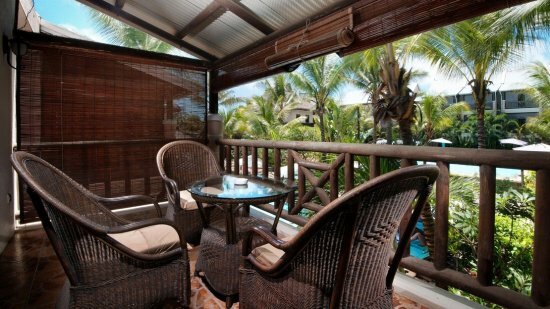 Whatever you’re looking for in a Mauritius holiday, the easy on the eye prices for Le Palmiste are definitely hard to resist. One of the most beautiful white sandy beaches on the island is within 100m of Le Palmiste Resort and Spa. 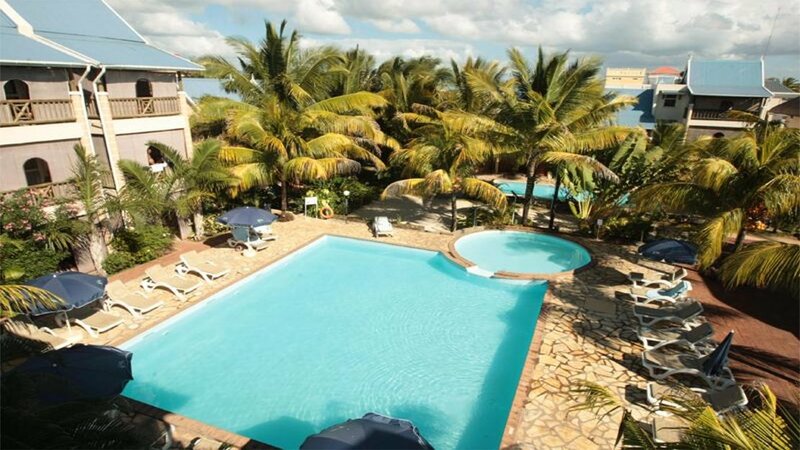 Le Palmiste Resort and Spa is situated in a convenient location for most of the attractions in the small town of Trou aux Biches. There’s restaurants and bars within 250m of the hotel in either direction, and the 9-hole golf course is about 750m away. Sir Seewoosagur Ramgoolam International Airport is approximately 66km away from Le Palmiste Resort and Spa. 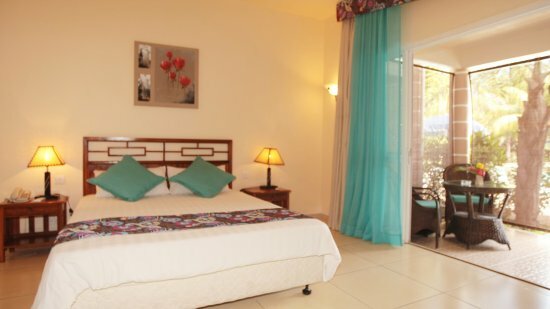 These bright, colourful rooms are a lovely budget choice for your stay in paradise. With stunning views of either the exotic garden or the pool area, the balcony is the perfect spot for your morning coffee. 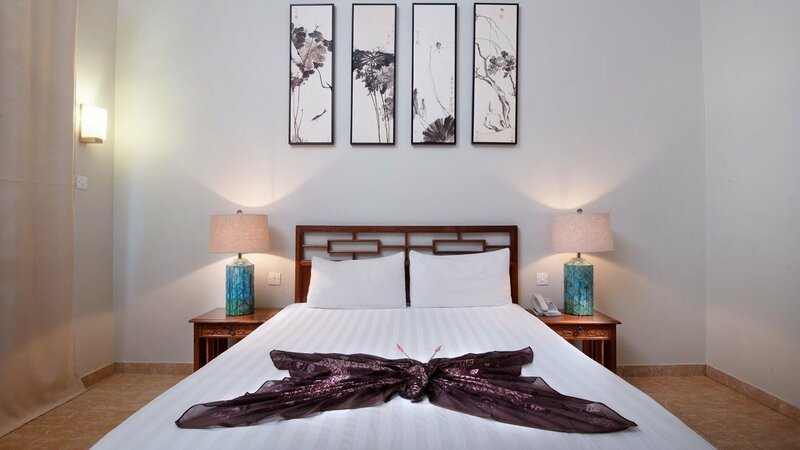 There’s either twin beds, or doubles available and the rooms can accommodate up to 3 people. These light rooms are based in the Anthurium wing of the hotel. Ideal for a couples’ retreat, there’s comfortable twin beds, or a double and an en-suite bathroom with a shower. The balcony has lovely views over the garden. 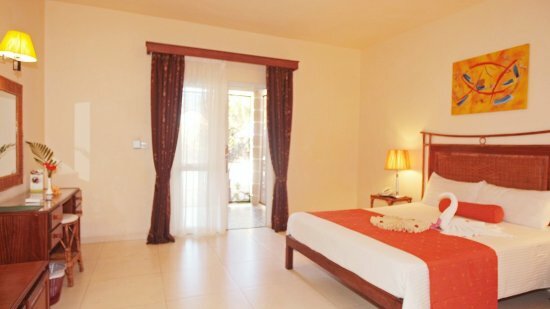 Featuring an abundance of extra space for you to settle into during your trip, the Superior Rooms are a good option for a special holiday. 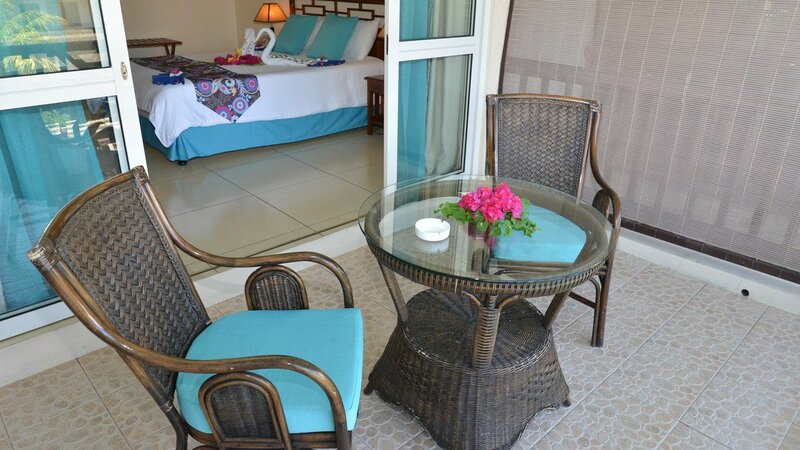 There’s a lovely garden and pool view to enjoy when your resting on the balcony. You'll also benefit from an iPod docking station, 42-inch flat screen TV and a King Size bed. If you’re travelling with little ones in tow, these are the rooms for you. With space for up to 2 adults and 2 children, you can comfortably all stay together. Outside seating on the balcony overlooks the swimming pool area. Enjoy dining in the wonderfully relaxed environment at Le Palmiste Resort’s main restaurant. Tables are laid out under a lovely covered area by the pool, so you don’t need to go far when it’s time to eat. Breakfast is served as a buffet, with a wide variety of options to choose from. Lunch is also a buffet, but has the addition of an a la carte menu if you prefer. Dinner includes a different themed buffet every evening, so no meal will be the same if you’re staying for a week. It’s worth noting that there’s a dress code in the restaurant, where shorts and swimwear are not allowed.